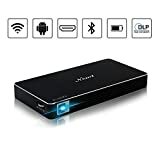 POYANK 2400LUX LED Wireless WiFi Mini Projector WiFi is currently selling at $98.89, approximately $0.02 lower than average, giving a potential saving of $0.10 right now. With a lowest price of $92.80 and an average of $98.91 it is selling on the high end of its usual range. Price volatility is 0.89% (meaning it does not change often), so you might have to wait a while for the price to drop. Right now this product is a recommended 'ok deal'. 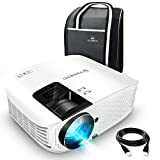 Compare the current price, savings (in dollars & percent) and Buy Ratings for the top Portable Projectors that are closely related to POYANK 2400LUX LED Wireless WiFi Mini Projector WiFi. Here is how POYANK 2400LUX LED Wireless WiFi Mini Projector WiFi compares with other leading Portable Projectors. Specification you might wanna know? Projection Tech: LCD TFT Projection System WIFI Supported: Yes Lamp life time: 50000 hrs Power supply AC IN: ~100V-240V 50HZ Correction Optical: ±15 degree Projection size: 32-I76inch Audio Frequency: 2W+2W Signal Ports VIDEO INPUT: (1. OVp-p +/-5%) VGA INPUT: (800 X600Q60Hz: (480i 480p 576i 720p 1080i 1080p) USB TF card Format Video Format: MPEG1, MPEG2, MPEG4, RM, AVI RMVB, MOV, MKV, DIVX, VOB Audio File: MP3/WMA/ASF/OGG/AAC/WAV Picture File: JPEG/BMP/PNG Video File: 3GP(H.263:,MPEG4)/AVI(XVID,DIVX,H.264)/MKV(XVID,H.264,DIV X)/FLV(FLV1)/MOV(H.264)/MP4(MPEG4,AVC)/MEP(MEPG1)VOB(MPEG2)/MPG(MPG-PS)/RMVB(RV40)/RM The connection that you need to know: For Apple Users, you have two ways to connect your Apple devices to our projector. 1. You can use WIFI setting to connect your IOS to our projector very easily. 2. You can also use the original lightning cable to connect your IOS to our projector. For Android users, due to the different compatibility of different brand models, you can ONLY use WIFI setting to connect your Android device to our projector. We also offer every customer a 3 year warranty. You can always contact us if you met any questions while you use our projector. Our technical department will reply you in 12 working hours. ? 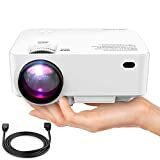 Features THE MOST POPULAR WIRELESS WIFI PROJECTOR ON AMAZON: After deep research on the market, we noticed lots of our customers would like to deliver the smartphone screen to projector for a big display view experience. Today, Poyank WIFI Projector has perfectly solved the MHL connection issues now. By using our WIFI projector, you don't need to order the variety of adapters anymore! HOW TO PROJECT APPLE DEVICE TO BIG DISPLAY? For iPhone/iPad users, ? You can set up the WIFI settings in both your iPhone/iPad and our projector. ? You can also use the original lightning cable to connect your iPhone/iPad to our projector directly. All in all, easy operation! WHAT ABOUT FOR ANDROID DEVICE? Although different Android devices vary, you can still use our POYANK WIFI projector to project your mobile screen to big display if your phone supports the Multi-media or Project Screen function. How wonderful it is! WHAT ELSE YOU MUST KNOW? 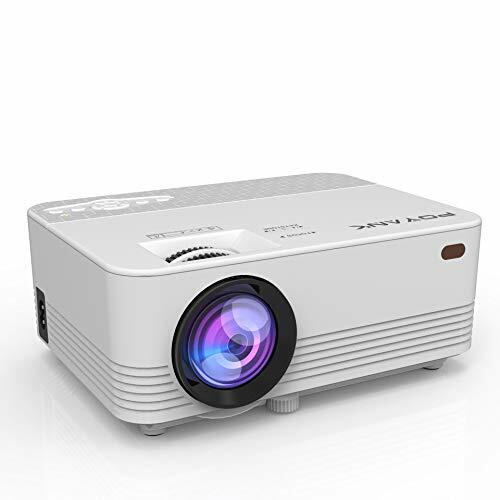 POYANK Wireless projector native resolution is 800*480, and it can support the highest resolution of 1920*1080. The aspect ratio is 16:9/4:3, with 2000:1 contrast ratio. The lamp life is up to 50,000 hours. The display size is 32"- 176" at the distance of 1.2M-5M.